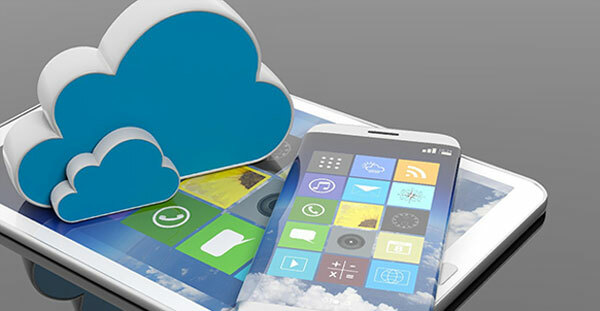 Cloud-Native applications are apps that make full use of the benefits of the Cloud Computing revolution. These are the applications which are born and raised in Cloud as against their on-premise counterparts. The idea is to replace the capital investment & man-power required to run Enterprise data-center with limitless computing, on-demand & pay-as-you-go services provided by Cloud. With the changing market dynamics, one can gain competitive advantage by quickly bringing ideas to market using the cost-effective cloud-native approach. To take good advantage of Cloud benefits, one needs to ensure that the application design is decoupled from a physical infrastructure. Also, the application should be segregated into services and tiers, and each one of them should be developed & run independently. Here are the key characteristics that define Cloud-Native Applications. Multiple Services – Each application can further be broken down into services called Microservices. These services co-operate with each other although it appears to the end customer that they are accessing a single application. Elasticity – The application and all its services should scale in-out & up-down in case the demand increases. This dynamically managed services ensure efficient usage of resources. Resiliency – Services are resilient if they can survive outages and failures and remain online. Also, they can make good use of the automated failover and Disaster recovery mechanisms available in Cloud. Composability– Each service is designed in a way that it can be consumed by other applications. This is generally done through APIs which have well defined behaviors. Auto-Scalability: By using the micro-services, cloud-native applications can scale services independently and automatically. This happens automatically most of the time so one doesn’t need to manage them on a daily basis. Speed of deployment: With the use of Continuous delivery and deployment, one get faster feedback and delivery resulting in faster shipping of applications.. Independence: Microservice architecture enables applications to be built independently of each other. They can be updated, managed and deployed individually. Cost: : Applications that are built and run on the Cloud typically cost less because you pay only for what you use. Resources can be created and deleted on demand without leaving any overhead to manage them. Globally, more than 65% of enterprises have started building their Applications Strategy and Roadmap on Cloud platforms. Read the blog to understand 3 reasons why developing Cloud-Native applications is worth the time and money. Change Management plan - The first step towards adopting Cloud would be to create a Change Management plan. Every change involves risk and so to mitigate the risks & migrate app smoothly without causing any bottlenecks, a detailed plan is a must. Thorough testing - Once the plan is set, one may test a low-risk app selected from the app repository. Migrate the app and then carry-out a thorough testing. Once the test runs are successful, try the more riskier ones and then move them one at a time. Marketing the Adoption strategy-The next step would be to market this adoption strategy to the internal team so that people are aware and ready for change. Create a training and implementation plan to help the team. Sharing best practices and engaging with the team also helps in developing a culture to adopt Cloud-native quickly. Standardize the platform -The last step would be to standardize the platforms after gaining significant experience with the tools and platforms used for Cloud adoption. This ensures that only the platforms that works best for a specific organization are used. Thus, saving time taken in trying tools that don’t work. As an instructive example, check how US based SaaS innovators gets smarter by moving infrastructure to Azure, and cuts down infra-costs by 25% & enhances computing power by 25%.